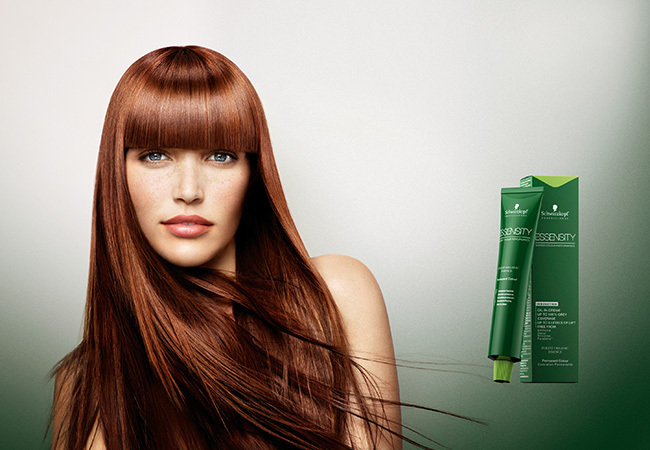 Schwarzkopf are the first major hair product company to introduce an organic AND ammonia free hair colour range. The colour and products give incredible results, without costing the earth … Thus Essentials hair salon will be offering the colour to our clients at the same price as regular colour – as we believe that you should have the choice despite the current economic climate. So GO ORGANIC AND SAVE THE PLANET! The Essensity range is free from artificial fragrance, silicones, paraffin/mineral oils and parabens, using pure organic essences and essential oils and a high percentage of natural ingredients. The in-salon colour is the first fragrance and ammonia-free hair colour with more than 90% naturally derived ingredients that will blend away 90% of white hair. As they’re also free from PPDs, the ingredient usually responsible for adverse reactions in people with a sensitivity to colour, the colour is more suitable for those with allergies, expecting mothers, sensitive skin – although a skin test is still advisable. 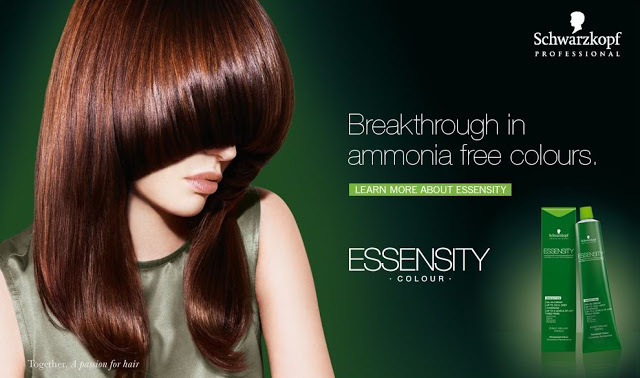 Essensity colour is just like any other colour range; the difference being that when your hair grows out it will have a natural looking colour, mimicing natural hair and it will not have the harsh re-growth line – that can be seen when using other permanent colours, after 4-6 weeks of growth – showing the white roots! Essensity will fade gradually and be seen naturally through the white hairs, giving you the natural look. It lasts just as long as the permanent colour. The care and styling products are 100% free from artificial fragrances and colorants, silicones, paraffin/mineral oils, PEGs and parabens and contain organic essences of ingredients known for their particular therapeutic properties. 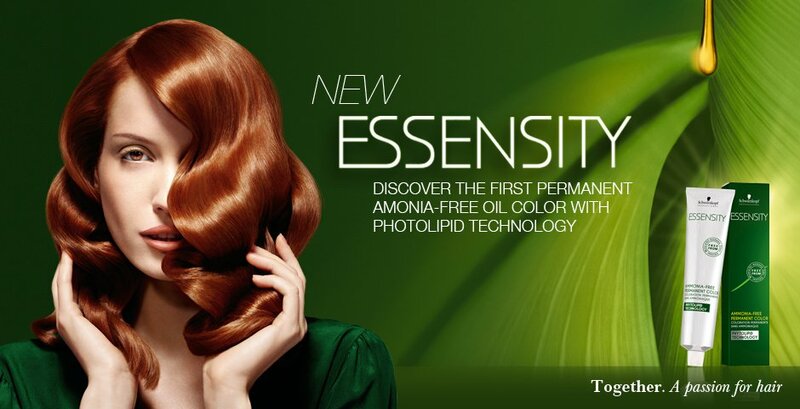 Essensity is Good for your hair – and the planet! The Essensity range’s ethics span further than just its ingredients – as well as using recyclable biodegradable packaging and formulas from renewable sources they’ve pledged an annual reforestation programme of 70 hectares in tropical Panama. Together with Futuro Forestal, Schwarzkopf Professional has created a model that brings back biodiversity and helps local people in a sustainable way.